EU-SysFlex presented at a brainstorming workshop of TSOs in Tallinn, Estonia! 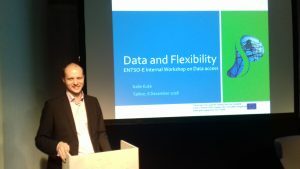 The event organised by Elering & ENTSO-E discussed data access. EU-SysFlex can cooperate with TSOs even more to ensure crossborder energy data sharing and easy access to information from smart meters for consumers and other stakeholders.